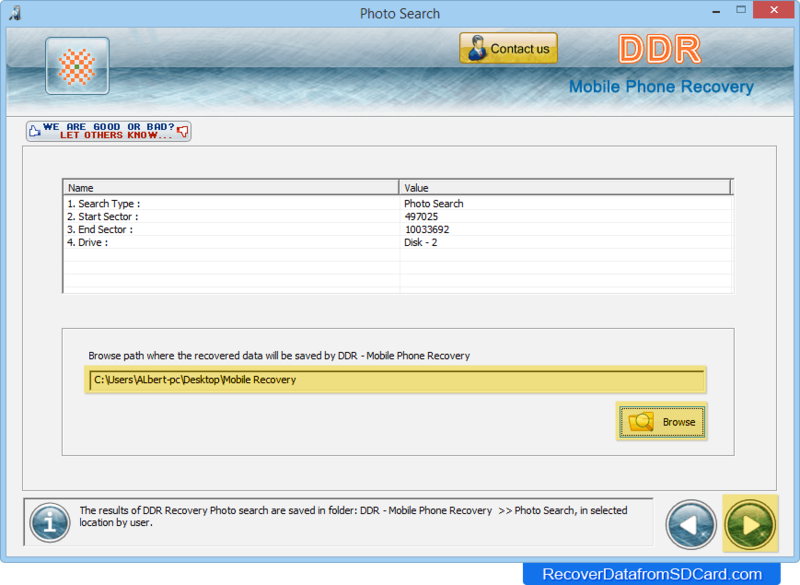 Browse the location where recovered data will be saved by software. 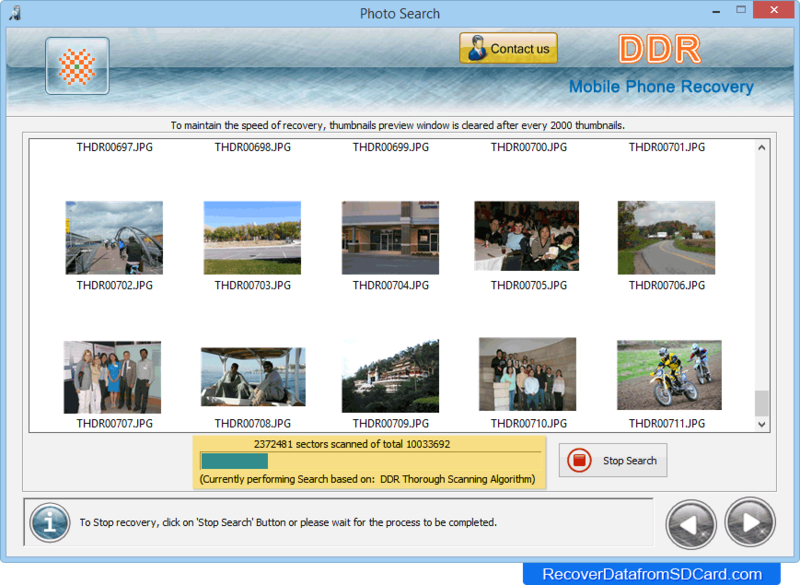 Currently performing search using DDR Thorough Scanning Algorithm. 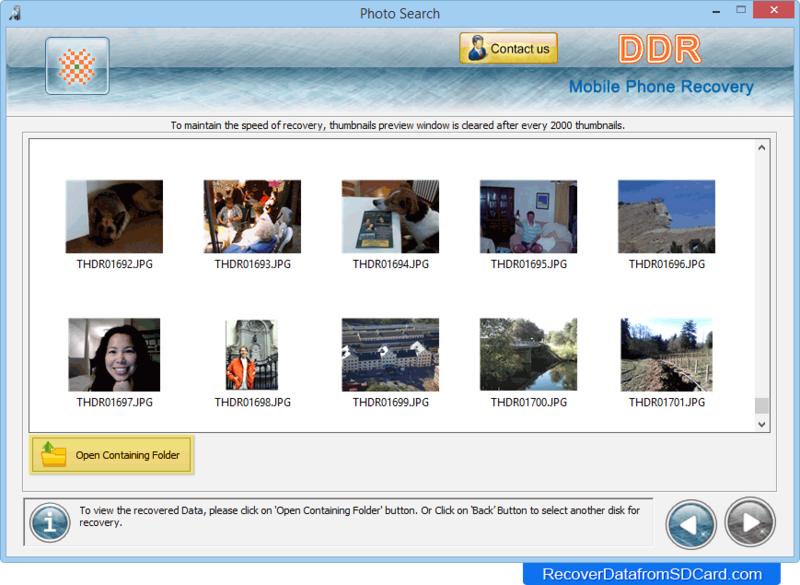 To view recovered files, click on 'Open Containing Folder' button.